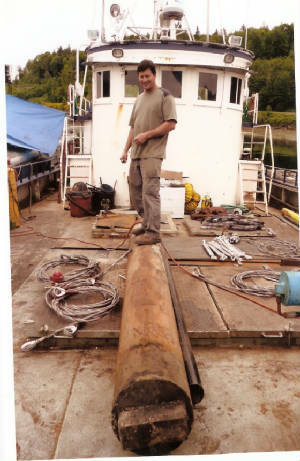 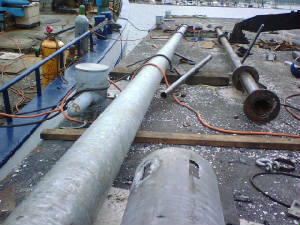 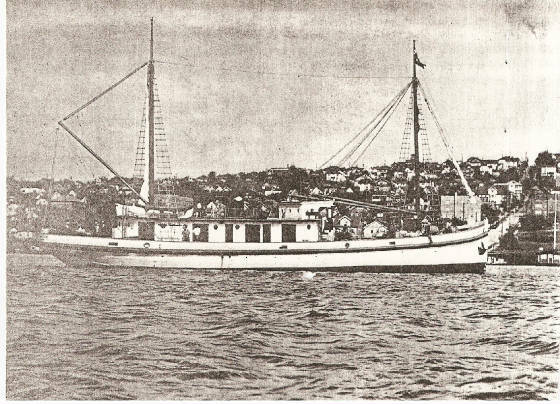 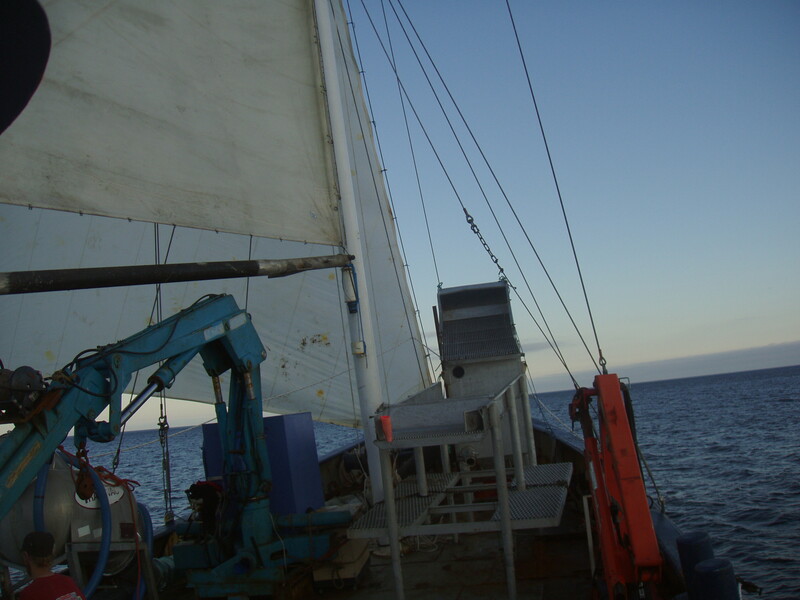 The old wood mast was packed in sand within a steel box had been cut with a steel plate welded over. 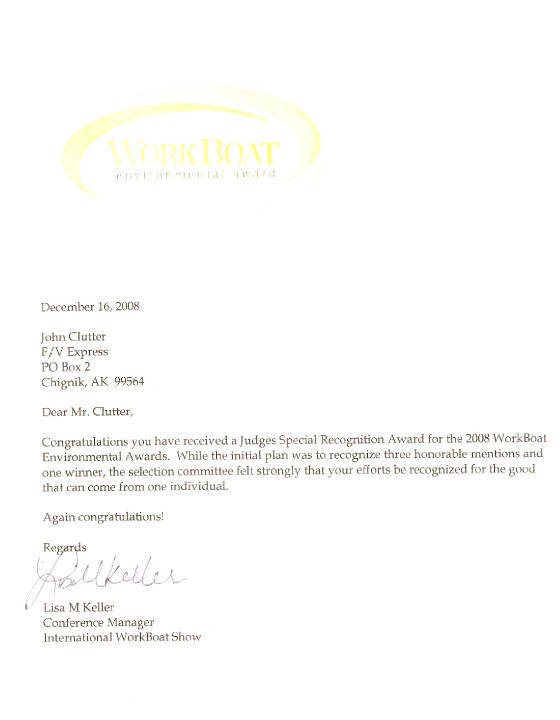 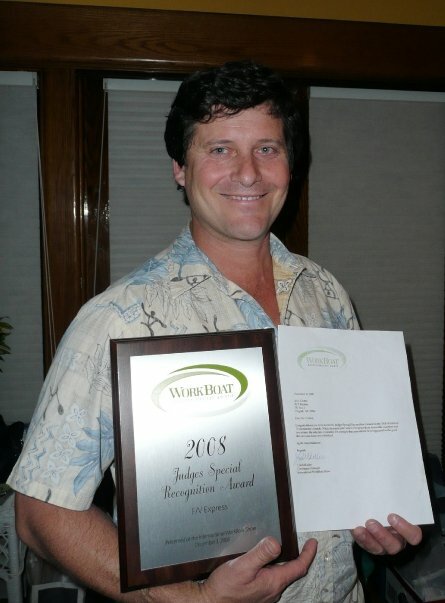 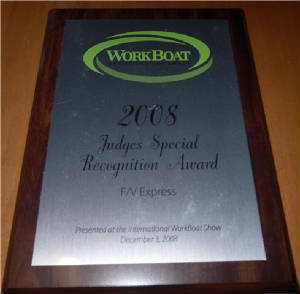 The EXPRESS and John Clutter recieved a Special Judges Recognition Award presented by WORKBOAT MAGAZINE at the International Workboat Show Dec 3,2008 in New Orleans. 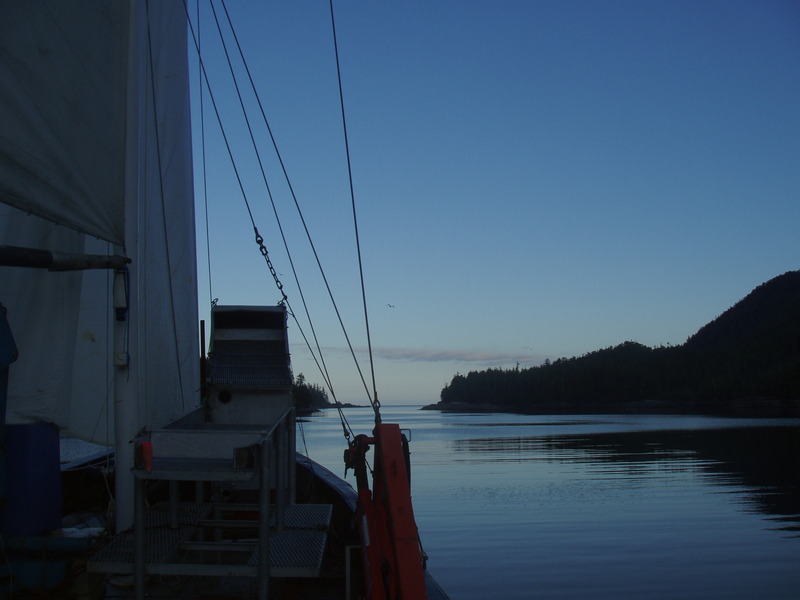 Aleutian Express Inc is committed to reducing greenhouse gas emissions and helping to advance science.